For over two decades now, we "Jetronics, India", have been delivering our qualitative range of products to a wide base of reputed clientele all across the globe. 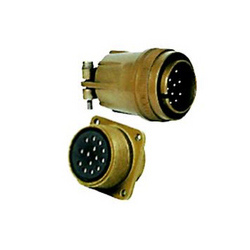 Our products find application in fixed or mobile military equipment, industrial machine tools, robotics, automation etc. We aim at providing quality connectors like MIL C 5015 Connectors, Military Connectors, MS Connectors, Circular Threaded Coupling Connectors, Reverse Bayonet Coupling Connectors, Multipole Connectors and Accessories with high level of services with cost effectiveness and innovative solutions to our clients that satisfy their specified needs while exceeding their expectations.